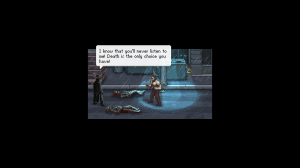 Punch Club is another game in the long line of Indie studios built around a singular mechanic or theme and getting everything out of it. Part management sim, part 80’s underdog story, Punch Club may not be the deepest game, but if you can get around its quirks, there is an enjoyable title here. The story of Punch Club is that you are the son of a professional martial artist, until one day when a man with an evil red eye guns your father down and you are taken in by his friend in the military, and you have a twin brother with mystical amulets for some reason. Your dream of becoming the greatest fighter in the world and finding the man that killed your father will require you to train, learn new skills, fall in love and deliver pizza. As you can tell, Punch Club is not a game that takes itself seriously; with numerous references right down to its retro look. 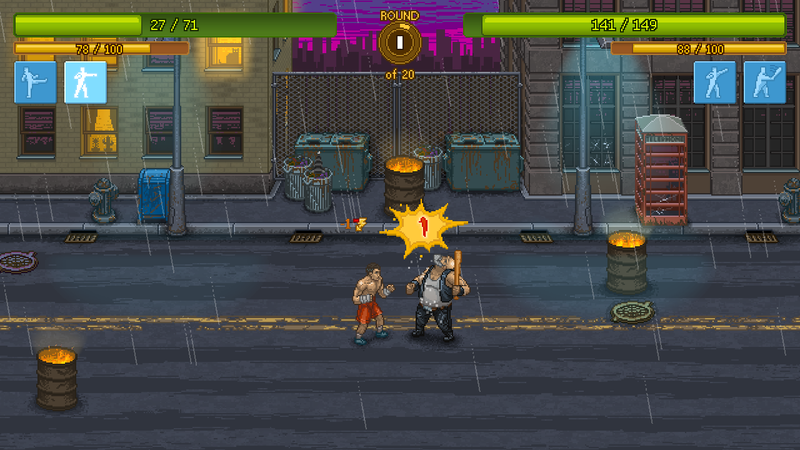 Despite being a game around fighting, Punch Club is not an action game, but a management one. In order to properly train and fight, you need to manage your character’s condition and how he trains for each day. Energy and hunger are restored by sleeping and eating respectively; which are needed to perform tasks like training and jobs to earn money. You can train to improve your strength, agility and body stat that will affect how your progress and your strategy for fighting. Strength improves damage, agility improves chance to hit and dodge, and body affects energy during combat which is needed to perform attacks. Different training exercises will improve one or multiple of your stats differently; allowing you to focus on different strategies for combat. Your attributes will degrade at the end of each day, forcing you to decide how you want to build your character, because you can’t do it all. All the choices that you make during the day will come into play when it’s time to fight. Punch Club’s combat is out of your hands for your most part. Before a fight, you can assign moves to your character (more on that in a minute) that he may use during combat. Your stats come into play with how your character will respond and where their advantages are. Strength characters can do a lot of damage with only a few hits, agility character can dodge and avoid damage, and body characters can keep their energy supply up compared to a character that may become winded in the later rounds and can block better to mitigate damage. Win or lose, you’ll earn skill points which are used in Punch Club’s progression system. 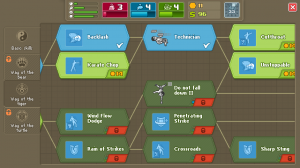 The skills in the game corresponds to the three core attributes and range from passive abilities to new moves that can be used during combat. 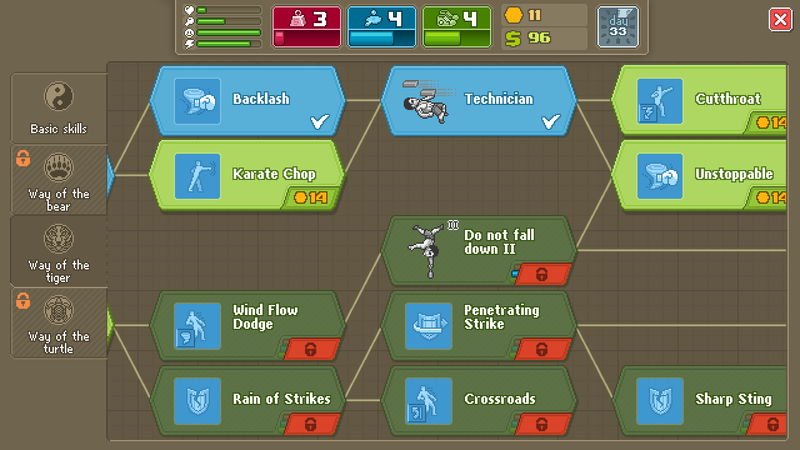 Skill points also allow you to specialize in one of three disciplines related to your three core stats. Punch Club’s management-styled gameplay is unique, and it gives the game that “one more turn” feeling to keep going. Unfortunately, for a game about fighting in the ring, there are a lot of backstage issues present. As mentioned at the top, Punch Club is a game built around one core mechanic and nothing else, because of that, the game can become very repetitive to play. While more options are added as you keep playing, it doesn’t get rid of the cycle of train, fight, spend skill points, earn money and recover. Since everything is abstracted, there is very little that you as the player have an impact on other than what skills to take into combat. The game seems to hide a lot of information and doesn’t do a good job of teaching the player about what’s going on. Things like dodging, energy conservation, what attacks to equip and the impact of stats on skills are never really explained. 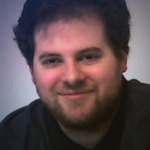 The game’s progression model seems to ebb and flow. At any time, there are different quests/tournaments to go after, but you’ll find that the higher you get in the tournament, the greater the stats and skills your opponent has. I couldn’t find a way to tell who I was fighting before a match and found myself doing really well, right up until the next stat hike, and then I was getting killed. The worst part is that due to how little control you have in terms of combat, it’s very hard to figure out how to change the outcome for the next fight. Leaving you with the only option to grind out stats and hope to see a difference next time. Another issue is that not only are skills permanent, but each skill you get will progressively raise the cost of all future skills. This has two effects, first is that it increases the overall grinding needed to go up the skill tree. Secondly, it punishes players who want to experiment with different styles and moves, as it becomes harder and harder to get major skills like those that preserve your stats at certain points. The constant repetitive nature of the game started to wear thin for me, and it got to the point where I was just going through the motions and hoping that something would change. Another big problem was that I encountered a lot of bugs while playing: From weird screen effects and the Steam overlay suddenly stopped working, to my character spazzing out of control. What’s worse is that the game didn’t seem to work with my recording software, which meant I couldn’t record any footage for the YouTube channel. Punch Club is another one of those games where its quirks are either going to make you fall in love with it or you’re going to hate it. While I enjoyed the game, its design was too narrow to keep my attention due to the constant sense of grind. I think a more refined sequel that really shows off the variety of ways to fight and improve your character would do a lot better. Right now, Punch Club needs to do more training in order to get the Eye of the Tiger.